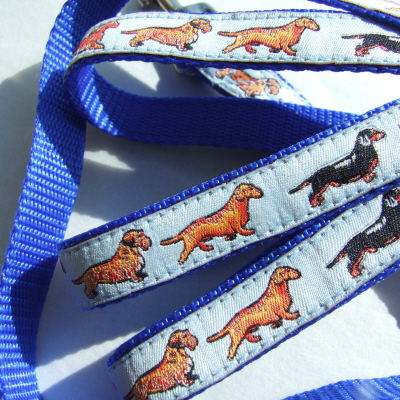 A Miniature Dachshund design on Light Blue woven ribbon sewn onto sturdy Blue nylon webbing. 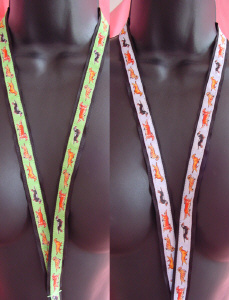 A Miniature Dachshund design on Light Blue woven ribbon sewn onto sturdy Pink nylon webbing. 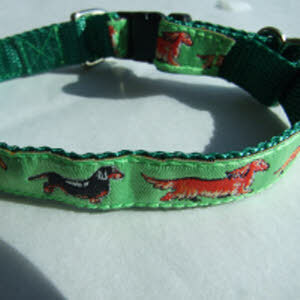 A Miniature Dachshund design on Green woven ribbon sewn onto sturdy Green nylon webbing. 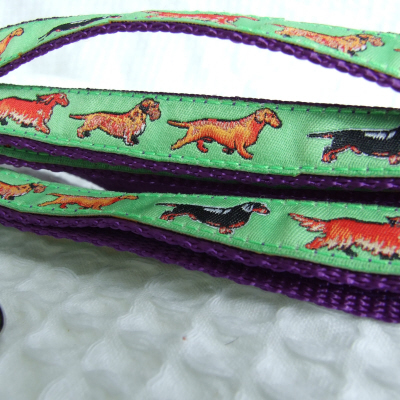 A Miniature Dachshund design on light green woven ribbon sewn onto sturdy purple nylon webbing. 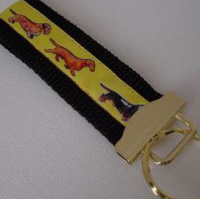 Size: 7.5 to 12 "
A Miniature Dachshund design on woven ribbon sewn onto sturdy nylon webbing. 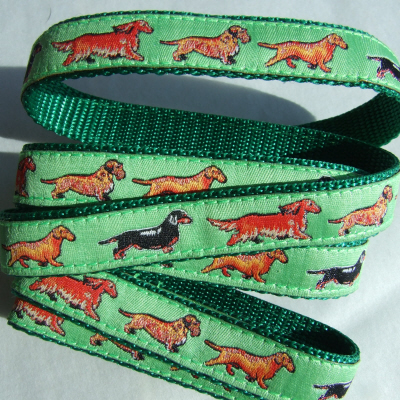 A Miniature Dachshund design on Green woven ribbon sewn onto sturdy black nylon webbing.